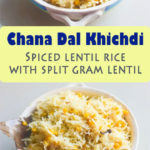 Chana Dal Khichdi | Spiced Lentil Rice is a rice dish made with good basmati rice and split gram lentil ,evenly spiced with whole and ground spiced.A delicious and light meal . Chana dal Khichdi, a traditional routine Punjabi dish. A frequent preparation in any Punjabi household. 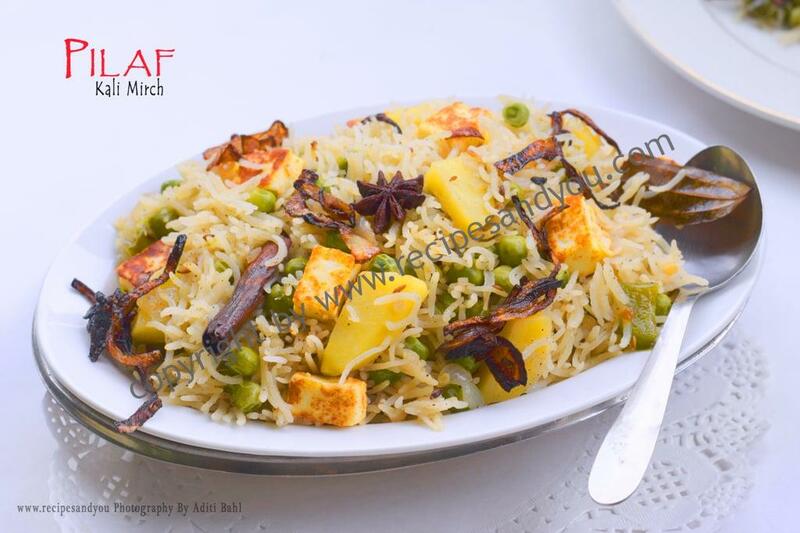 Made from best quality rice and split Bengal gram and beautifully seasoned with all spices whole and ground. 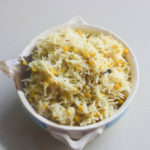 Unlike a normal khichdi recipe, where the rice and dal get mixed and reach a semi liquid consistency, the Chana Dal Khichdi is firm and keeps the rice grains and dal/lentil separate and beautifully combined too. 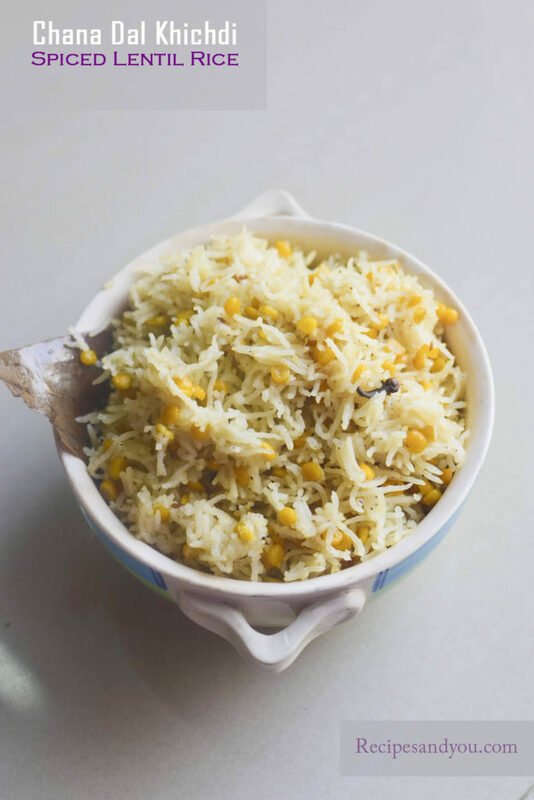 Khichdi is a easy ,on pot dish which is easy to prepare and quick to digest too. Also, after a week-long eating of oily and roti sabzi, Khichdi gives a nice break to your digestive system too.It is believed that its good to make khichdi every seventh day of the week to give your boby some rest and keep it light. But unless you are unwell, one doesn’t feel like taking a break and making the regular khichdi just like that. This Chana Dal Khichdi is therefore a welcome idea to have best of both the worlds. Its not mushy and also is well spiced. So you get the flavor and keep it light at the same time. In a north indian Home, Chana Dal Khichdi is a staple. Especially in my house, we make the Chana Dal Khichdi atleast once every fortnight. And once in a week comes the other moong dal khichdi, green moong khichdi and so on. For making the Chana Dal Khichdi there are some tricks to keep it just the right consistency. Like, add the chana dal first and let it cook with the spices on simmer a little so that its half cooked.Then when we add rice and pressure cook the rice, the dal will be ready in the same time. Otherwise the rice will be done, but the dal will not be fully cooked. My cup size is 200 ml= 1 cup. 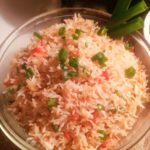 A few other rice dishes on the blog are Black Pepper Rice and Vegetable fried rice. You may click the pictures below for recipe. Enjoy the Chana Dal Khichdi with you favorite pickle, green chutney or plain curd. 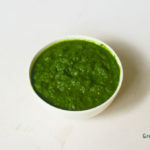 To enjoy the Chana Dal Khichdi with green chutney, get the recipe of green chutney by clicking the picture below. 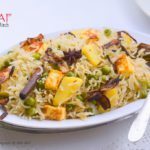 a rice dish made with good basmati rice and split gram lentil ,evenly spiced with whole and ground spiced.A delicious and light meal . Soak the dal and rice seperately for 20 minutes. In a pressure cooker, heat ghee and add the jeera, black cardamom,cinnamom, cloves/long, whole black pepper and ginger. Saute for 2-3 minutes and then add the chana dal. Cook the chana dal on simmer for a few minutes. Cover and let it steam till half done.Keep sauteing to avoid sticking to the bottom. If needed add or sprinkle a bit of water. Add the 1 1/2 cup water and bring it to a boil. Now add the spices and rice. The water level should be the same as of the rice mix. Too much water will make it soggy. Simmer, close the lid and cook till 2 whistles. After the second whistle, shut the flame and let the the cooker sit ,till it releases the steam. serve hot with pickle/ chutney/ curd. Enjoy your Chana Dal Khichdi.